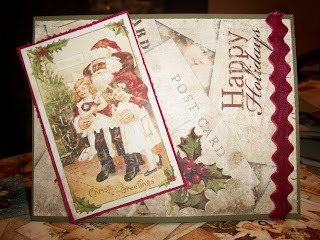 Day 6 of 25 Days til Christmas!!! 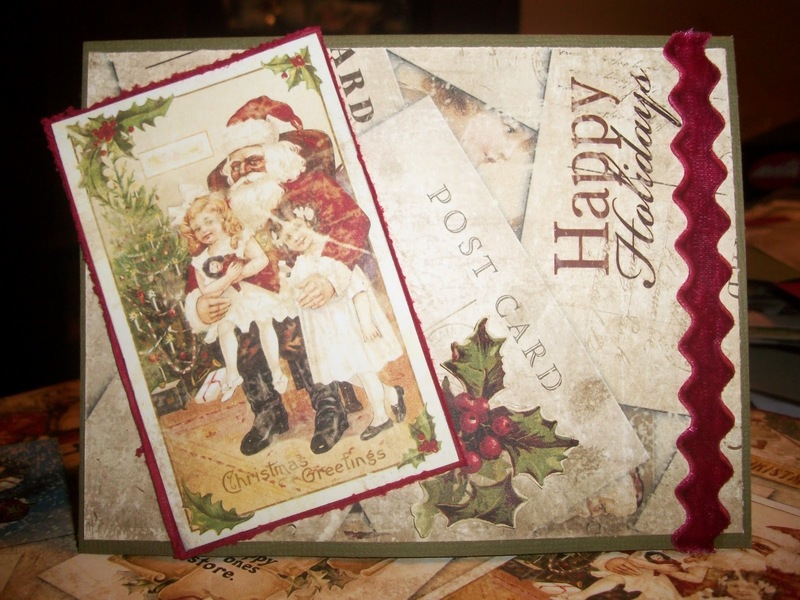 Handmade cards are the best gift to give this holiday season, not are they fun to create they are fun to receive. This happy holidays card was creative and love the colors (it's Basic Grey) winter's collection but I can't for the life of me remember what they called the line...sorry...I cut out the deer and cut two of the brown deer and popped him up for some detail, added stickles to the wreaths...so cute. 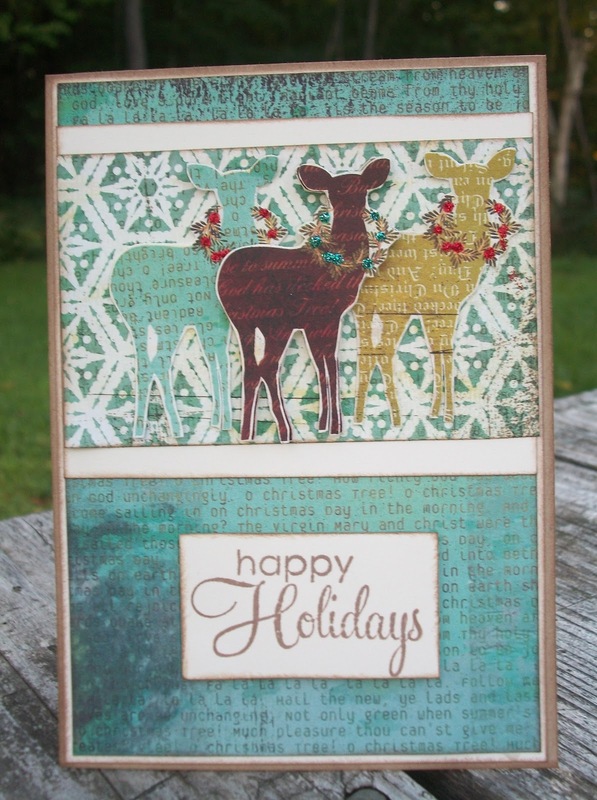 Love the daisy die cut from Stampin up-this card is very simple (take a 12x12 piece of card stock cut at 4 inches you can get three cards out of one sheet cutting at 4". Added a strip of Graphic 45 papers, distress inks, a sentiment and pearl brad to finish off the card...Homespun feel. 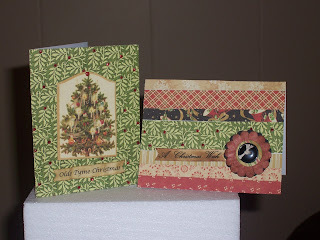 Graphic 45 is one of my fav's love how these turned out-tree one is a pop out added some vintage photo. 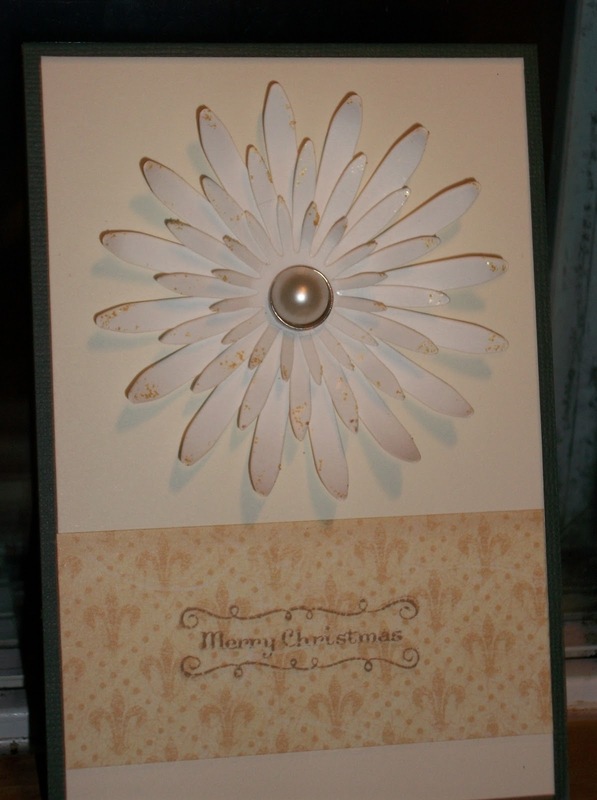 The next one I used up my scraps and cut strips and glued onto a card front added a sentiment and a flower with button...there you have it some Homespun handmade cards to share with family and friends.